You are what you eat and absorb. Your energy, overall physical vibrancy and your zest for life is directly influenced by what you consume. You can't eat junk food and feel healthy, strong and ready to deal effectively with life. Stress is compounded by what you eat. Too many inappropriate food choices will most definitely worsen any problem. Nutritional medicine is a holistic therapy, focusing on the whole person, whilst ameliorating symptoms. Breakthroughs in nutrition are continually generating new ideas and concepts giving valuable information. 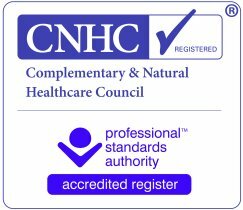 What makes nutritional therapy different from other discipline is that without achieving the correct intake for the individual - even lowering your stress levels, exercising, avoiding smoking, alcohol, undergoing homeopathy, herbal medicine, etc., may not be as effective as when your food is balanced appropriately and individually. Good nutrition can contribute towards a healthy heart, circulation and cholesterol, having a dramatic effect on your immune and digestive systems, as well as easily maintaining a healthy weight. All these elements will assist you in creating or continuing to enjoy a long and healthy life. Nutritional Therapy is not just about healthy eating. It is a form of complementary medicine in which a practitioner will work with the patient, helping his or her body rid itself of stressful substances, providing raw materials and improving assimilation of food in order to aid physical repair. It aims to change an individual’s metabolism from an unbalanced state – which may be causing minor and major distressing symptoms and which may lead to diagnosable disease – to a state of balance, allowing the body to return to optimum health. This is achieved by assessing biochemical imbalances to include vitamins and mineral deficiencies, hormonal dysfunction, food sensitivities and underlying parasitic and fungal infections. It addresses the underlying causes leading to weight gain, water retention, loss of energy, cravings, bloating, headaches, memory loss, bowel disturbances, joint pain, depression and infertility, etc. It boosts energy levels, increases the body’s ability to cope with stress and infection. It slows chronic degenerative disease and the aging process, recommending biochemical tests and nutritional supplements, as appropriate, which are at the cutting edge in the field of nutrition, in addition to individual dietary and lifestyle changes. Nutritional therapy may be used in conjunction with an accurate medical diagnosis. If any of the above conditions apply to you, and you are interested in gaining improved health through the use of nutritional and allied therapies, please look at my therapy area for details of my services. You can read the feedback of some of my clients on my client experiences page.